We talked with Kamrian Yozgur, executive director and chair of the Board of Directors in Captain Dyado Nikola ( ) about the company's investments, perspectives and competition. 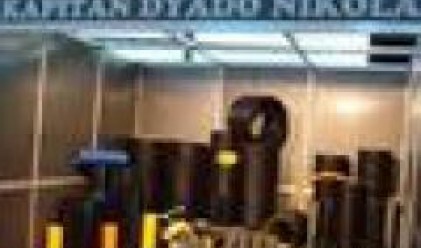 What are the main products of Captain Dyado Nikola? As you know we produce uPVC, PE, and PP pipes for water or sewerage systems and fittings. In the past several years we successfully started manufacturing of plastic packaging for the food and chemical industry. In 2006 and 2007 an amount of our investments was directed to a new filed of production – moulds for pipes, fittings, and packaging. What part of the production is exported and what part is aimed at the home market? At the moment we can say that we export half of our production to countries in the EU and the Balkans, the other half is realized on the domestic market. Which companies are your main rivals in Bulgaria and in the EU? We have several main rivals in Bulgaria – these are Plastic, Espace, Aquaplast, Industrialpipe. In Europe we compete with Vavine, Rehau, Jokey, and Traceplastic. How do the rising costs of raw materials affect your selling prices and the company's overall results? The rising prices of the basic raw materials have a negative effect on our prices and on the company's financial results, in spite of the investments we've done so far. As you know the main raw materials that we use are petrol derivatives, the prices of which are constantly increasing. What is the company's investment program for this and for the following year? We have invested considerable amounts in the company over the past several years, that is why, we are not planning on further investments in the near future. Are there any plans for additional financing, such as a capital increase or a debenture loan? We have no plans for a capital increase or for issuing debt at this stage. As I said no major investments for the following years have been discussed. What are the projected results for this and for the following years? Due to the present situation on the market of the basic raw materials for our production, such as petrol derivatives, an accurate prognosis is impossible. That is why, at this stage, we are not trying to make any.